Grid-scale energy storage doesn’t have to come in the form of batteries. Electric-powered water heaters and space heaters have a lot of virtual energy storage capacity as well, and they’re already out there in millions of homes and businesses. That makes them a cheap resource for grid storage -- if they can be managed in a way that allows them to respond to the grid’s needs, while still keeping the building at the right temperature. We’ve been covering the latest advances in the field of heating as grid storage, and here’s the latest, from Steffes Corp. Last month, Steffes was awarded a U.S. patent for its “dynamic dispatch” system to use domestic water heaters, space heaters and other appliances to store intermittent wind and solar energy for grid stability and reliability. It’s a concept that Steffes has been applying in more than two dozen grid projects in North America, from Canada’s PowerShift Atlantic project to pilots in Hawaii, Paul Steffes, CEO of the Dickinson, North Dakota-based company, told me in an interview last week. It’s also been getting a multi-year tryout from mid-Atlantic grid operator PJM, where Steffes has been aggregating lots of heating units to respond to frequency regulation signals that require hundreds of units to turn up and down as an aggregated whole. 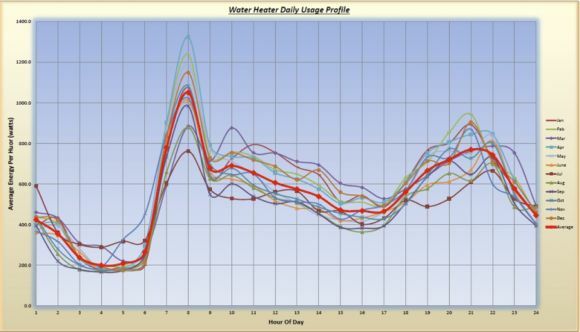 Using heaters for grid services isn’t new -- utility programs have been tapping these resources for decades to mitigate peak loads on the grid through traditional demand response programs. But Steffes has added utility-grade telemetry and metrology to the mix, along with the complex data analytics to optimize the mix of grid responsiveness across hundreds or thousands of individual devices. Electric water heating makes up about 18 percent of residential electricity use in the United States. But most of the time, that demand is based solely on the individual heaters turning on when water temperatures drop below a certain level, and turning off when they’re well heated. There’s a lot of flexibility to play around with in those heating schedules, particularly in the mornings and evenings, when most homes use the majority of their hot water. 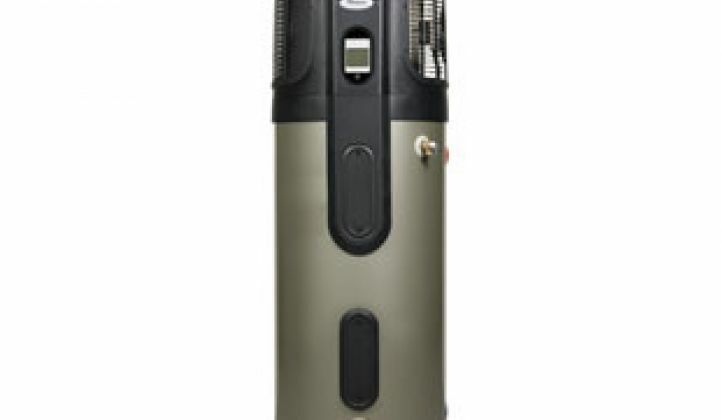 “Basically, a water heater will consume about 12 kilowatt-hours per day, on average” in a typical home, Steffes said. “But average homes will use from zero to 50 kilowatt-hours” at any point during the day, “and there’s absolutely no pattern to individual homes. However, there is a very precise and predictable pattern for an aggregate group,” he said. Steffes’ dynamic dispatch system takes advantage of real-time cellular, wireless or hard-wired communications to each heater, using industry-standard data formats like MultiSpeak and OpenADR, he said. “We have metering data on individual and aggregate groups of devices, down to four-second granularity, to give certainty to whichever market that we are doing what we said we would do,” he said. Steffes’ software also uses historical energy-usage data, correlated with weather data and other factors, to project how much virtual storage is contained in each unit over the coming 48 hours, he said. It then provides that forecast to grid operators, which can use it to dispatch real-time grid market services. Steffes uses Microsoft’s Azure cloud platform to do its aggregation, creating a “virtual power plant” out of networked heating units. It’s using home water heaters, but it’s also tapping “hot brick” thermal storage systems in Canada and PJM, and larger commercial water and space heaters in other settings. 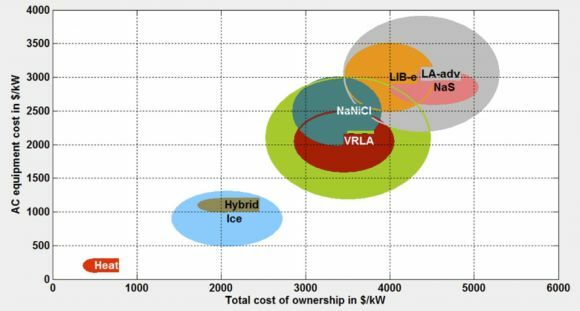 Heaters are one of the cheapest forms of grid-scale energy storage around, according to the Department of Energy’s Sandia National Laboratories. In many ways, they’re a latent resource for the grid, awaiting the technology and business models to turn them into active grid edge players.